We are a prominent Trader, Distributor and Supplier of a varied range of Chemicals and Pharmaceutical Intermediates, such as Black Carbon, Cyclohexane, Cyclohexanone, Rubber Chemicals & Epoxy Resins among others. 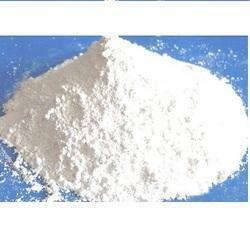 We have established ourselves as a leading Wholesaler, Trader, Retailer and Distributor of quality Chemicals and Pharma Intermediates such as Titanium Dioxide (Rutile Grade), Titanium Dioxide Anatase, Acetone Cyanohydrins, Black Carbon, Cyclohexane, Cyclohexanone, Precipitated Silica, Rubber Chemicals, etc. To many of our customers for application in different companies. Having understood the specifications of our customers, we make sure that our products are manufactured by using quality raw material procured from reputed vendors so that they have features like accurate formulation and high efficiency.